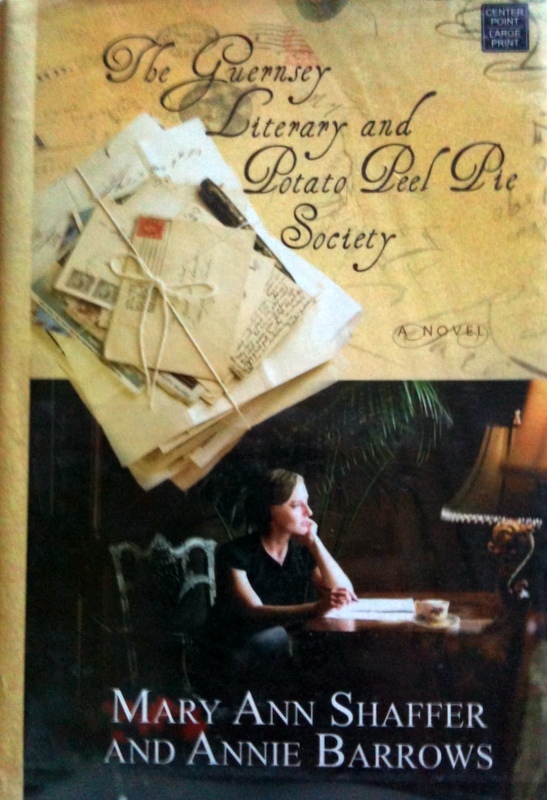 I was travelling and could not attend my last book club meeting, and so it was with great anticipation that I read The Guernsey Literary and Potato Peel Pie Society for the following meeting on my return. It was a book I enjoyed reading, particularly because I found out a lot about the German occupation of Guernsey Island during World War II, and it was a page that had been missing in my world history textbook. Our host began with a more general question: What is your most favourite and least favourite character? Elizabeth McKenna was the first named, because she was liked by all the characters (except Adelaide Addison) in the book and everyone had something interesting to say about her. Another person our group liked was the heroine Juliet Ashton, who was forthcoming with her feelings and her thoughts. I picked Isola Pribby, because I found her feisty and forthright. There was consensus regarding the least likable characters and it was Mark Reynold, and Adelaide came in close too. Two book club members were born in Holland and they had much to share regarding what they had heard from their parents and families about the experience of the Dutch under German occupation in World War II. They helped us relate to the hardship and fear the characters in the book had lived through. They said that rubber tires were removed from bicycles and people cycled on the bare frames. The mother of one person hid cheeses under her clothes, because if they had met a German soldier and he did not like them for whatever reasons, the cheese could have been confiscated. It was also interesting that the family of one member from England had sheltered a children from the city, and again, it made the experience of Eben Ramsy’s and his grandson more real. It was also brought up that Remy’s story of the concentration camp gave perspective to what the women had gone through in France, since earlier in the year, we read about concentration camp life in Auschwitz in Man’s Search for Meaning. I never heard of ‘todt’ (the slave in the book, and In German, it means death) until I read this book. We liked the various surprises in the plot, such as Sydney being gay and the betrayal by Bobbie Gee. By contrast, the ending was too fairy-tale like, and not to everyone’s liking. It was attributed to the fact that probably it was the second author taking over and the onus was on her to give a quick conclusion to the story. Nonetheless, there was fair treatment of the misreading and misunderstanding of feelings among the characters– Dawsey, Juliet, Mark, Sydney and Remy– throughout the book. This helped with character development and adds to the readers’ enjoyment. Isola made a remark in the book that reading a good book spoiled one’s enjoyment of reading a bad one. This prompted our discussion of what we looked for in a good book. We all had the experience of turning the pages through a formulaic novel. I smiled to myself, “Chick Lit!” Individual expectations and criteria varied. Some looked for style, some looked for a good story, or interesting characters. The Guernsey Literary and Potato Peel Pie Society has succeeded in revealing the different personalities of the individual characters who penned the letters. When I compare it with other letter-writing novels I have read, I think it pales standing beside 84 Charing Cross Road and the Griffin and Sabine Trilogy. It does not have the refined subtlety dealing with emotions as in 84 Charing Cross Road, or the intense mystique and power of Griffin and Sabine. 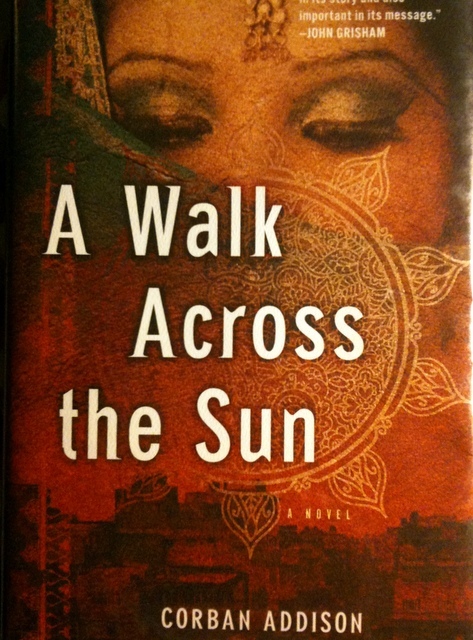 Nevertheless, it stands on its own as a good book and an enjoyable read. in fact, I found myself laughing out loud in the beginning reading Juliet’s letters. She is lively and humorous. It is always healthy to read a lighter book in between the viscerally or cerebrally demanding ones. We digressed into talking how we missed the experience of letter writing and the anticipation of receiving letters now that email had taken over, although some of us still wrote letters and sent them through email. We lamented, “Who would bother about pen-pals when social media on the internet has taken over?” To me, Writing a letter and addressing it to an individual (and this certainly rule out blogging) is personal and private. It is a unique media to express and share one’s thoughts and feelings. I certainly hope that letter writing will not become a lost art. This entry was posted in Books, Hobbies, Reading, Reviews and tagged Annie Barrows, Guernsey in WWII, Mary Ann Shaffer, The Guersey LIterary and Potato Peel Pie Society on December 13, 2012 by Opalla. I would not normally pick a book of this genre, but thanks to my book club, I had this opportunity to educate myself on a topic outside of my realm of knowledge and awareness. There was a lot of information in this book and everybody agreed it was a challenge reading through it quickly. Fortunately, the chapters were well-defined, and one could read the chapters in any order one chose. The topics spanned from how animals use poisonous plants to cure themselves of sickness, what they do to keep off mites, to how they deal with births and deaths. It was apt for the host, who selected this book, to ask everybody what she found most interesting given all the information. The most vote went to the fact that animals eat earth to keep themselves healthy, and then they eat leaves with barbs to get rid of the worms that they have swallowed with the dirt. We were also amused by how animals get high with fermented fruits, that animals cover broken bones with certain leaves to help them mend, and that elephants put leaves over their dead. I grew up in a culture in which herbal medicine was frequently used. The book revealed to me that the white powder that was put on my wounds after scraping myself when I was a child was discovered, according to a legend, by a farmer who followed a snake to discover what it ate after being wounded. I also related to the comments that even in the animal kingdom, bitterness was a measure of how effective the plants was for healing, and I remembered well the dark and bitter herbal drinks I had when I was young. Given all the interesting facts, the book has also left us with many questions. The author is a biologist, and biologists are experts in documenting and categorizing factual findings. Engel undoubtedly has consulted many references, scientific or legendary, to write this book. However, after educating the readers with a lot of “what”s, we cannot help questioning the “how”s and the “why”s. It would be educational to know to what the extent the animal behavior to maintain health is due to evolution and how much it is a learned behavior, either from growing up with their parents or learning by trial and error. Another unsolved mystery is the author referring to the “minds” of the animals when she discusses how animals react to stress or seek for pleasure. Little do we know about the minds of human beings, let only wild animals. Conceptually, an explanation referring to the “brain” of the animals is more tenable, particularly based on available animal studies in the laboratory about the pleasure centers and biochemical changes in the brain under stress. We also had a discussion on our reactions to zoos after reading about the richness and diversities out there in the wild for the animals to maintain their health and to heal themselves when they are unwell. There was a consensual feeling that zoos should be designed to reflect the natural habitat of the animals as much as possible. What we now know about health behavior of animals can help us provide a better diet and environment for them, even when they are kept in captivity by man. 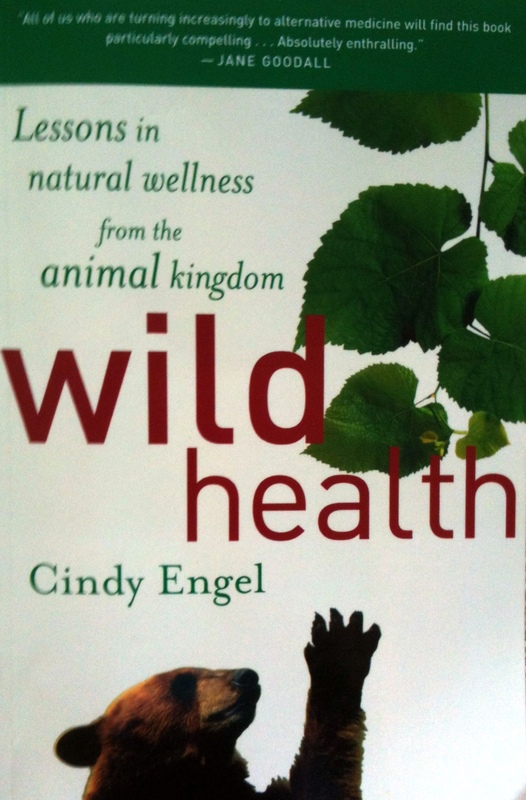 This entry was posted in Books, Health, Leisure, Reading, Reviews and tagged Animal Health, Wild Health on September 3, 2012 by Opalla. The person hosting our recent book club meeting picked Viktor Fankl’s Man In Search For Meaning, because it caught her attention on the reading list of her child’s Ethics course. I read an earlier edition (1962) of this book many years ago when I was a Psychology Major. It also became a reading I assigned to my students in my psychotherapy course. I have not read it in recent years, but I sometimes mention this title to some of my clients when they ask for a book on the meaning of life. I looked forward to re-reading the book and the meeting. In particular, I was interested how the book would be discussed in a book club as different from an academic or a therapy-oriented setting. I bought the latest edition (1992), which had a new preface by the author in the same year. There was also a Postscript (1984), “The Case for a Tragic Optimism” based on a lecture delivered by the author a year earlier. I told DH, who picked the book, that she had chosen a little book which was bigger than life. She agreed and first posed the question about Frankl’s decision not to publish the book anonymously. Everybody preferred to know the author, because the name,provided a sense of reality as well as accountability to the contents. People started to wonder what kind of a person Frankl was: “nice”, “calm”, “deep”, “complex”, and probably “non-judgmental” as a psychotherapist? These qualities were contrasted with the personality traits of those inmates in the concentration camp who had given up hope and died, and those of the kapos. What would one do to survive? Choosing between survival and integrity must be truly difficult indeed. There were some personal acknowledgement of what the individual would do under trying circumstances, and that was with reference to Frankl’s description of a former kapos whom he met years later and who seemed to have rehabilitated and redeemed himself. The fact Frankl wrote that he decided to stay with his parents instead of moving to New York also intrigued us. It transpired that Frankl did not mention that he was Jewish in the first part of the book, and little did we know about his upbringing in a Jewish family. How much had the values his parents instilled in him played a role in his decision, when he remembered the commandment to “love thy parents”? Regardless, when he was describing his concentration camp, being Jewish or not did not matter. His account was one human being watching other human beings suffer. Ethnicity was irrelevant there. 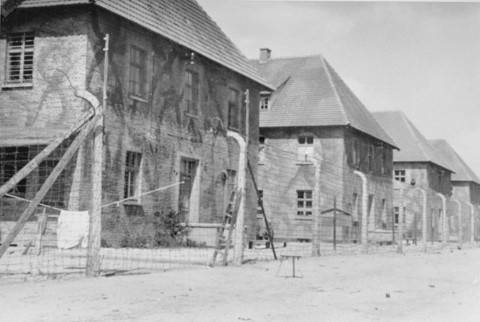 Source: Main Commission for the Investigation of Nazi War Crimes; USHMM archives. It was felt that in order to be able to endure and survive extreme hardship, based on what we had inferred from the book, a person had to have an inner life or spiritual freedom. I opined that we were all capable of attaining an inner life, yet in this world repleted with material cravings, many people were misled into thinking that happiness was an entity to be acquired, as promised by the so-called “ways to happiness” in many “how to” books. 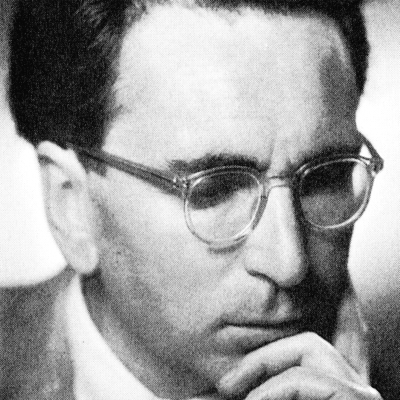 There was a comparison between Buddhism and Frankl’s idea that sufferings were inevitable in life. Then it was felt that Frankl proposed a more optimistic outlook which recognized choice, responsibility, love and meaning. The story of Jerry Long provided an inspirational vignettes in the book. What was revealing though was the universal theme of “Man’s Search”, be it the Holy Grail in western culture or the Sacred Book in the Chinese legend of the Monkey King. The majority of us liked the book. There were many quotable quotes. One of mine was, “…it did not really matter what we expected form life, but rather what life expected from us” (p.85). An observation was that if Man considered himself to be supreme, he would have nothing to anchor himself when he was reduced to bare nakedness. However, either a religious or a spiritual orientation which allowed for a higher explanation for one’s existence might lend meaning to life. Or perhaps, in the apparent nothingness, there could be a sense of “being” which paradoxically enabled one to “be”. Other favorite quotes included “The solution of man is through love and in love” (p.49); “He who has a why to live for can bear with almost any how” (Frankl quoting Nietzsche); and “Life ultimately means taking the responsibility to find the right answer to its problems…” (p.85). We had a lively discussion. I enjoyed it because I could relate to the book from an experiential angle. Years of scientific training, and asking questions about evidence-based methods has led me to be concerned more about the effectiveness of logotherapy, and the logical relationship between its techniques and its conceptual framework in the past. 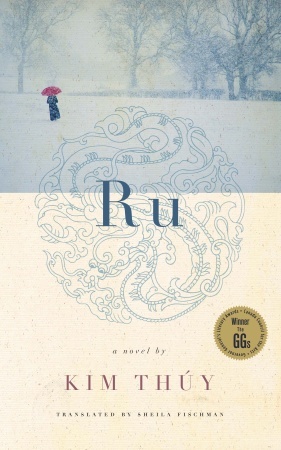 My re-reading of the book for the book club and the discussion that ensued had given me the opportunity to connect with the book at a different level. I knew there were many levels from which this book could be analyzed. As for my book club experience, I was pleased that I could ask questions about myself and my life in a non-judgmental way. I also had the openness in the sharing of my book club members to thank for. 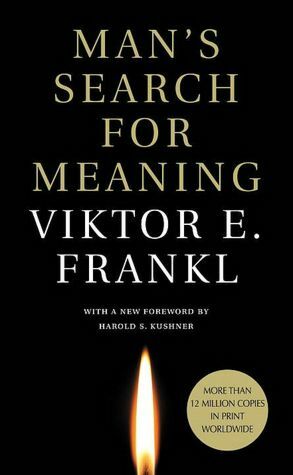 This entry was posted in Books, Culture, Hobbies, Leisure, Life, Reading, Reviews and tagged Man's Search for Meaning, Viktor Frankl on July 20, 2012 by Opalla.